The stone may have been a door jamb that had been "violently thrown by the volcanic cloud." 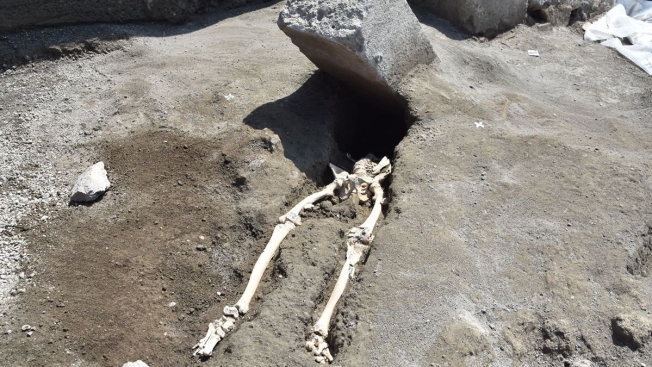 A skeleton of a victim recently found in the new work area of Regio V in the archaeological site of Pompeii, the ancient Roman town buried by the eruption of the Vesuvius volcano on 79 AD. The victim was a disable person, unable to escape to save himself.